Posted on December 11, 2017 at 10:26 pm. 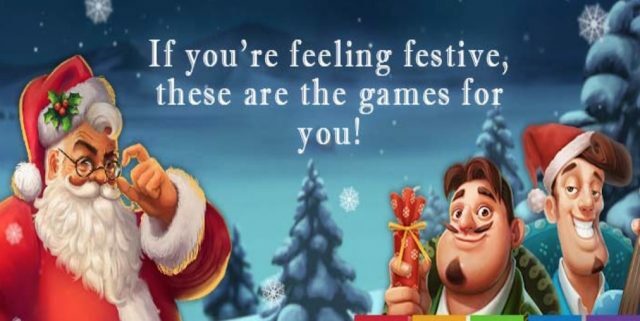 Christmas is almost here and Slots Million Casino is helping pokies fans get into the festive spirit by launching a whole new Christmas game filter, making it easy to find all the most festive themed games in the one spot. The Christmas game filter is sticking around until January 7, so you can keep the jolly times rolling all the way into the New Year. If you’ve never played at Slots Million before, signing up for an account will earn you double the amount of your first real money deposit, giving you up to €100 (or currency equivalent) in bonus money to play with, so you can try all these Christmas themed slots and thousands of others with less risk to your wallet. In the spirit of the season, Slots Million is also giving new players from Finland, Sweden, Norway, Germany, Iceland, Ireland, Luxembourg, Netherlands, New Zealand, South Africa, Switzerland, Austria and United Kingdom a little extra gift this Christmas. Eligible players who sign up for an account and enter the unique promo code ‘XMAS100’ upon registration will receive 100 extra spins to use on selected NetEnt slot games when they make their second real money deposit of at least €20 (or currency equivalent). The extra spins can be used on NetEnt’s most popular Christmas themed slot games, Secrets of Christmas, Flowers Christmas Edition and Fruit Shop Christmas Edition. A 35x wagering requirement applies on all bonus offers, so make sure to check the details of the terms and conditions before you hand over any real money to make sure you understand your play-through requirements and bonus expiry dates. Head on over to Slots Million where you can play these Christmas themed games for in practice mode or for real money bets. To learn more about what this leading casino site has to offer, read our Slots Million review.